" A number of leading proponents of Darwinian evolution claim that "junk DNA"--the non-protein-coding DNA that makes up for more than 95% of our genome--provides decisive evidence for Darwin's theory and against intelligent design, since an intelligent designer would not have littered our genome with so much garbage. 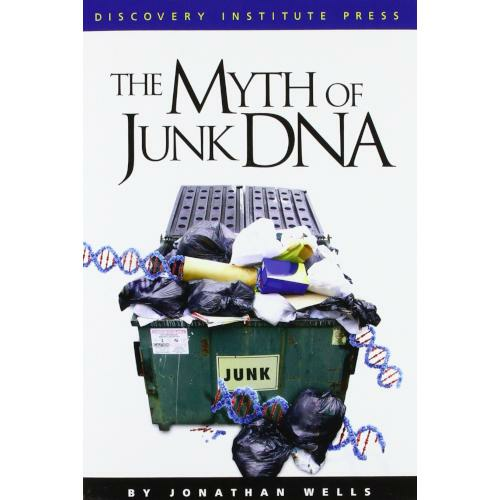 In this provocative book, biologist Jonathan Wells exposes their claim as an anti-scientific myth that ignores the evidence, relies on illegitimate theological speculations, and impedes biomedical research. ... After reading this book your view of the genome--and of the people who claim to represent science while they misrepresent the evidence--will never be the same again."